Best picture I could find of Kevin. He was always moving! I’m going to tell you a pretty personal story about learning animal communication – and opening intuition. This is a story about my husband, Kevin. Now, he doesn’t know I’m writing this, but I know he’ll be OK with it – after all, he married me! Kevin is a science guy. He’s a hydro-geologist, he’s getting his PhD in Civil Engineering, and he reads physics textbooks for fun. Can you picture someone MORE the opposite of me? (But this is good as he’s the grounding energy in my life.) Anyway, it DOES actually work between the two of us, probably because opposites attract. In the beginning of my career though, he did think I was kind of crazy. Only “special” people are psychic. So, cut to 2016 when I decide to bring Kevin with me on my Call of the Wild Dolphins Bimini retreat. It’s night three of our trip and the group wanted me to teach them some animal communication. After a short talk and demo, I said, “Hey guys. Enough with the talking. Let’s try this out!” and I gave them the name of an animal I wanted them to connect with (they didn’t know what kind of animal – only the name). After about five minutes of group silence, it was time to share. No one raised their hand. 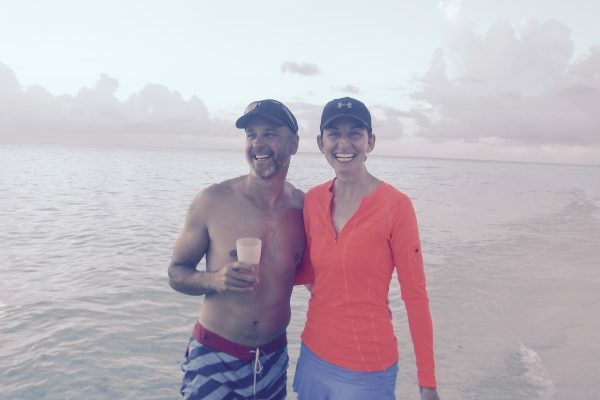 Although there were a couple of my long-term students there, most of the people that had come with me to Bimini were brand new to animal communication. I could tell they were intimidated to get started so I called on Kevin to share his information. Kevin looked down at his paper for a moment. I could see that it was blank, except for the name of the animal at the top. A blank piece of paper is super scary but, I couldn’t show favoritism and go easy on him so I did what I always do and I pushed him to tell us about his experience, since he didn’t write it down. After lamenting that he didn’t “get anything,” I asked him to just share whatever it was that he experienced, even if he didn’t think it was something psychic and even if he felt like he was making it up. Then, others in the group started sharing their experiences as well. After a few minutes, I revealed what animal they’d been connecting with: a goldfish. At first, Kevin didn’t understand how much sense the information he received had made. He told me he “sucked” at animal communication because he thought it was a bird, but it turned out to be a fish. I showed him, though, that if you took out the word bird and just listened to everything else he was saying – it actually fit the fish perfectly. But that’s so not the case! And I think that’s why I love working with people and animals intuitively so much. In order to really do it, you have to clear yourself of expectations, fears, judgements… and just do it and allow it to be whatever it’s going to be. The animals make you do your work on yourself to connect with them! 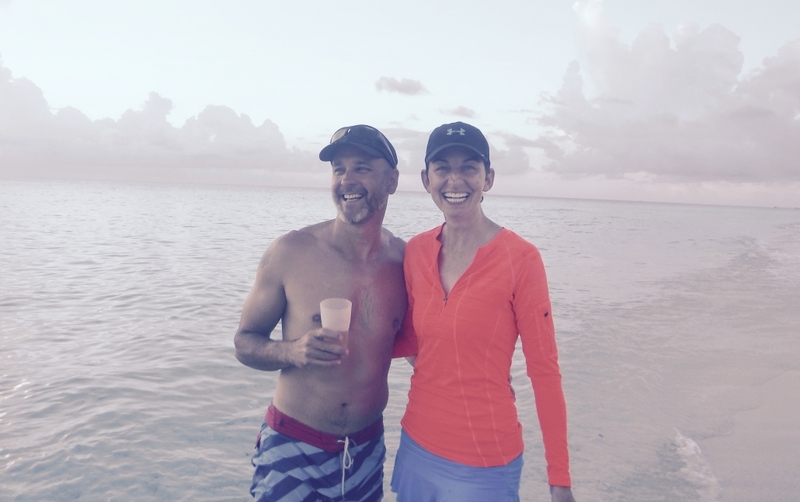 If you want to join me in Bimini – you can learn about it right here! Wicked Cool (Superbowl) Tool A message from your deceased pet?